Home to the Sami people, in summer Northern Norway is the land of the Midnight Sun – and in winter, the northern lights set the sky alight. All year round, it’s an incredible destination with wildlife safaris, remote wilderness lodges and the incredible vantage point at North Cape. This is Norway’s second largest island, a northerly neighbour to the Lofoten and Vesteralen islands. It is famous for its incredible landscape, a mix of high mountain peaks, slow flowing rivers, coastal pine forests and pristine white sandy beaches. 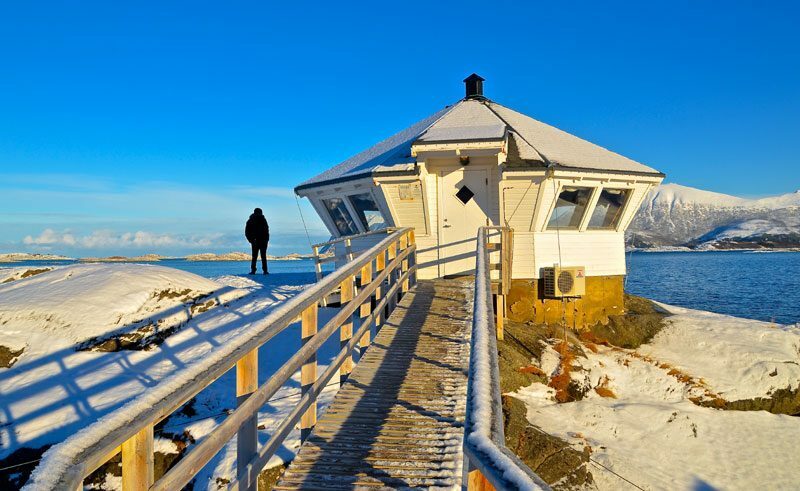 Senja is easily accessible by a ferry from Andenes or by road from the mainland. Far above the Arctic Circle is the attractive city of Tromso, gateway to the Arctic. Once an ancient trading post, now more fittingly known as the ‘Paris of the North’ due to its wealth of shops, restaurants and street cafes. Steeped in history, Tromso developed as an independent trade port, more recently it has become the launch site for both scientific and commercial polar expeditions. This vibrant city provides a perfect base to visit cultural attractions or maybe try one of the many optional excursions available, from dog sledging to snowmobiling. Norwegian Lapland, or Finnmark as it is also known, is the northernmost point in Europe. It is a land of huge contrasts with a diverse and breathtaking landscape, from a rugged, fjord-indented coastline to miles upon miles of peaceful plains. It is thanks to the Gulf Stream that Finnmark has ice-free harbours year round. 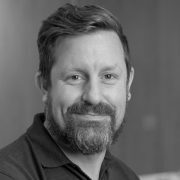 And, as many parts of the region are mountainous and sheltered from icy winds, winters although snowy, are often milder than you would expect this far north. The county is so large and the population so widely dispersed, that visitors experience a true sense of the wilderness around them – there are 73,000 inhabitants and around 170,000 reindeer. From the end of November to around the middle of April, snow is plentiful all over the region – there is a lot of winter in Finnmark! Because of this, snowy activities abound – fast-paced fun on a snowmobile, an exhilarating husky sledge adventure and ice fishing, cooking the catch al fresco afterwards. For a more relaxing time, who could resist a soak in an outdoor hot tub under the awesome northern lights? Although an appearance of nature’s own light show can never be completely guaranteed, Finnmark, in particular Alta and the North Cape, has an enviable sightings record. This is the final port of call for the Hurtigruten ships and the neighbouring border with Russia is just a stone’s throw away. 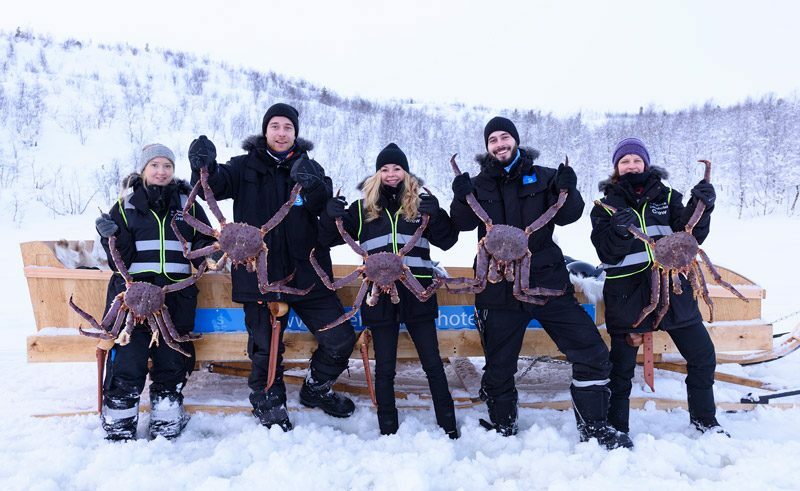 Here you can join a King Crab Safari in the Barents Sea, afterwards enjoying your catch for lunch – the largest crab legs you’ve ever seen! The three borders with Norway, Russia and Finland meet deep in the Ovre Pasvik National Park, where you can explore the country’s largest virgin forest following the Pasvik River and the Russian border. You can also join a guided tour by boat or quad bike. You will be collected from your hotel before heading to Tromso Lapland Sami camp. Heading out from Tromso into the wilderness of the Troms region, this excursion will take you to Camp Tamok, a wilderness camp 75 minutes away. This trip takes you out on a spectacular cruise to look for humpback and killer whales. Before starting the trip a thorough safety introduction and driving instructions will be given (a full driving license is required and available to present on request). You will drive in pairs with opportunities to swap drivers during the trip. Experience the splendour of the arctic wilderness and drive on the remote Finnmark mountain plateau, one of Europe’s last wilderness areas, and travel across the Beskades plain heading to the mountain lodge Soulovupmi where you stop and have a lunch break before returning to Gargia lodge. 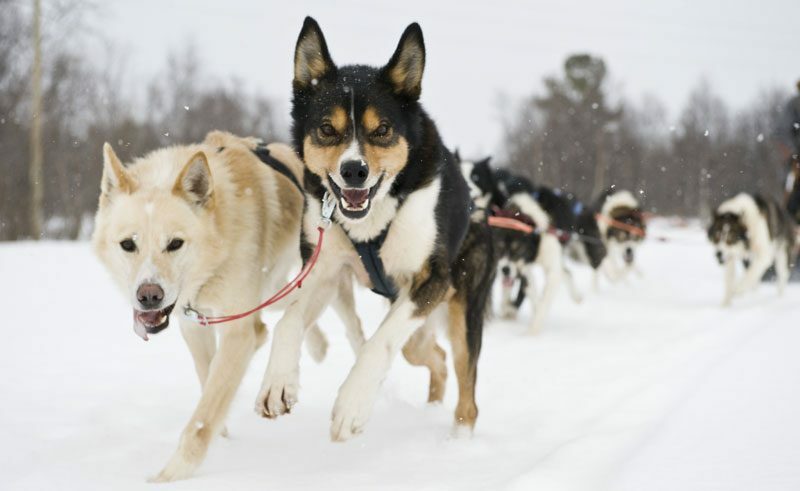 Meet the eager huskies and help the guide to harness the dogs that are part of your team. Lakselv Hotel situated on a hill with a great view of Porsangerfjord. Conveniently located at the cross roads to Alta, Hammerfest and the North Cape, this hotel is in an excellent location for hiking, fishing and in the winter, snowmobiling. Situated in the small fishing village Mefjordvaer on the northern coast of Senja island, Mefjord Brygge has a wonderful location with spectacular mountain views. Located in the centre of Finnsnes, the hotel is within easy reach of the beautiful Islands of Senja and Husoy. Found in one of Norway's most isolated and beautiful areas near Kirkenes in the far north, the Snowhotel is a work of art that is rebuilt every year and is one of the most unique places to spend the night. A 75-room hotel near the historical centre of Trondenes, this is a perfect place to stay when enjoying all that the Harstad area has to offer.